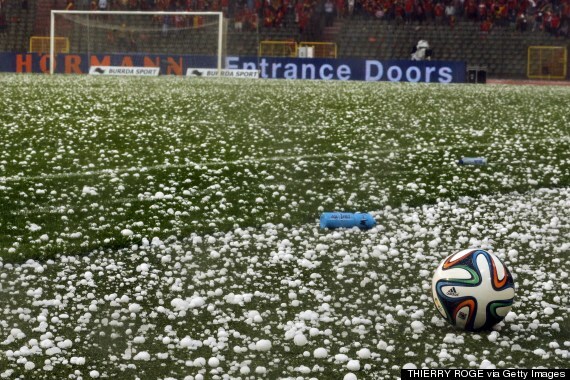 A lengthy hail storm interrupted Belgium's last international friendly before heading to Brazil for the 2014 World Cup. Playing against Tunisia at King Baudouin stadium in Brussels, golf-sized hailstones began raining down onto the pitch during the first half. The field was covered in in hailstones as the storm forced a 45-minute delay, per Eurosport.com. After the stoppage, Belgium went on to win 1-0.